When constituents of mine began reporting that they were receiving telephone calls asking if they would support the Conservative candidate in the pending or imminent by-election, I rose in the House to assert that the practice breached my privileges as a member of Parliament and indeed that of Parliament itself. While the Speaker of the House ruled today that the matter did not prima facie (on its face) breach my privilege, he did pronounce that "attempting to sow confusion in the minds of voters as to whether or not their Member is about to resign is a reprehensible tactic." The Speaker noted his ruling was "on technical grounds" in that somehow I was not impeded in my parliamentary functions by the calls because I have "been extremely active in the House and in committee." Indeed, I find it ironic that my engagement should be invoked as a defense -- that, on the one hand the calls were "reprehensible," and that I had, as he put it, "a legitimate grievance." But somehow he was powerless to provide a remedy, even though, as he acknowledged, confusion had been sown as to my identity in the minds of the electorate, a per se impediment. Rather, the Speaker merely suggested that "managers of legitimate exercises in voter identification should be more careful in the information they disseminate to the people they contact" and that "Canadians contacted this way should be more wary and judge more critically any information presented to them by unsolicited callers" -- clearly an acknowledgement that something wrong occurred but, again, no sanction for it. Indeed, herein lies the problem. No Canadian voter should be confronted with false and misleading calls and expected to sort out truth from rumour; indeed, they should not receive such calls in the first place. Furthermore, simply encouraging campaign strategists to "be more careful" in their choice of tactics does not go far enough. Rather, a pronouncement by the Speaker that such practices are not only reprehensible, but must be desisted from, is what was warranted. Indeed, such an undertaking should still be forthcoming and agreed to by all parties, even if it is not ordered by the Speaker or a parliamentary committee. As I noted in the House, every party engages in certain political activities outside an election. Asking my constituents "Do you support the Conservative party?" is fine, but telling them there is an imminent by-election because I have resigned or about to resign is something that ought not to be acceptable. To use the words of the Speaker, this is "reprehensible." But, where the Speaker ended up erring, in my view, is reflected in three aspects of his ruling. First, while the Speaker was correct to find these calls were "reprehensible," I believe he erred in not finding that, by natural extension, there had been a breach of privilege. Second, while I cited numerous principles and precedents from previous Speakers and the former Clerk of the House that supported my position, the Conservative members who intervened did not even cite a single principle or precedent in their interventions -- because, frankly, none exist that support their contentions as regards privilege. Yet, somehow the Speaker saw fit to rule in their favour. Lastly, the Speaker did not address the question of whether the calls amounted to contempt for Parliament -- an important type of privilege breach that the Speaker ought to have addressed regardless of whether he felt I had been impeded -- and would be reason alone to have found a privilege breach. Indeed, it is hard to argue such calls were not contempt for Parliament -- which is why perhaps he did not address it in his ruling -- but I do believe he owed the House an explanation as to why he did not address this issue at all. Although the ruling ends the matter in the House, I do believe all parties should -- as a matter of common sense and fundamental fairness -- acknowledge that such calls are unacceptable, and undertake never to engage in them. Indeed, unless the Conservatives disagree with the Speaker's finding that such conduct is "reprehensible," they should apologize for their involvement, cease and desist from such calls, and promise never to engage in them again. We must all abide by certain rules to ensure fairness as well as demonstrate respect for the institution that is Parliament and its serving members. Spreading false and misleading information on something so fundamental as whether the member is indeed still serving or whether there is a by-election is simply beyond what ought to be acceptable. Allowing such practices only furthers -- as the Speaker himself acknowledged -- the feelings of cynicism and contempt people feel towards politics and politicians. The Speaker noted that "all reasonable people would agree" that the practice was "reprehensible." Regrettably, as seems to be the trend of late, politics tend to overshadow reason, encouraging the reprehensible while sowing contempt and cynicism -- all this to the detriment of Parliament and all Canadians. 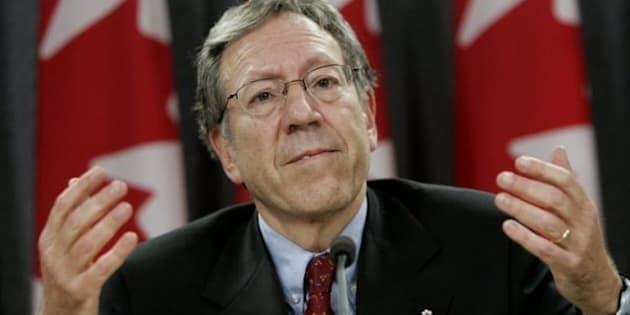 Irwin Cotler is the Member of Parliament for Mount Royal.